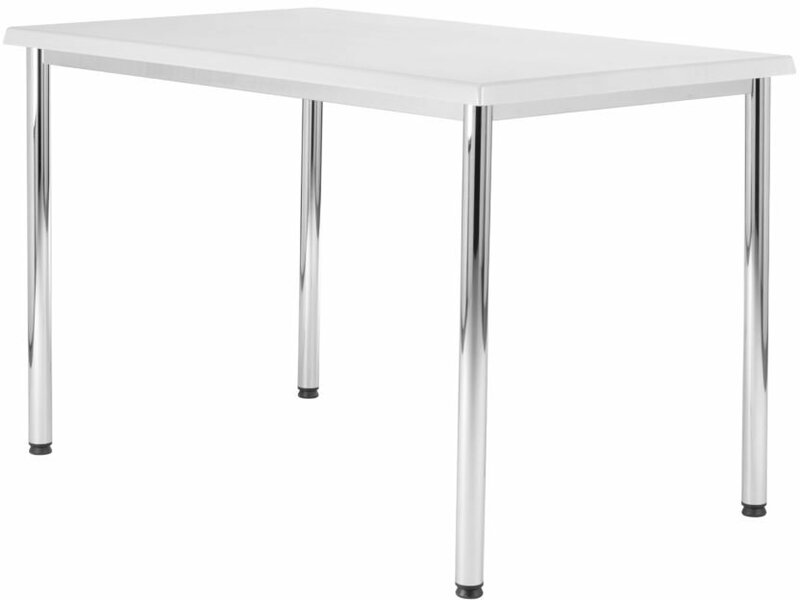 Quality 4 legged table with fully welded frame and high quality polished chrome plated finish. 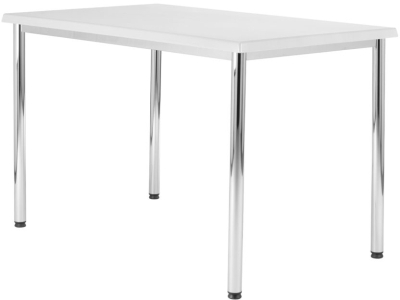 Available in square, rectangular and round sizes as well as bespoke sizing and heights. 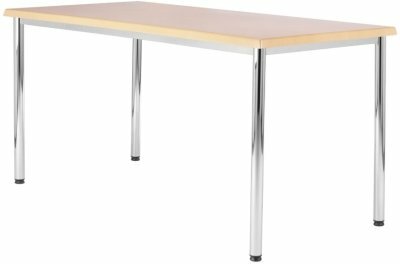 50mm x 25mm fully welded under-rail and 38mm dia mild steel legs makes the Beacon table a sturdy and popular option for canteen and dining areas.